Defiant Requiem: Voices of Resistance aired April 7, 2013. Hear a performance of Verdi’s Requiem at Terezin, the former concentration camp. Re-enactment of Raphel Schacter playing piano for the Terezin Choir during a rehearsal. Led by conductor Raphael Schächter, a chorus of 150 inmates performed one of the world’s most difficult and powerful choral works, Verdi’s Requiem, a Catholic work re-imagined by imprisoned Jews as a condemnation of their captors. Ultimately, they performed for Nazi senior officers and the International Red Cross, singing what they dared not say. Six decades later, conductor Murry Sidlin and a new choir take Verdi’s Requiem back to Terezin to reawaken this little known chapter of heroism and the resilience of the human spirit. Just 40 miles west of Prague, the old fortress town of Terezin had been converted into a makeshift “holding pen” for the Czech Jews during WWII. Within months, the town built for 6,000 people was bursting with nearly 60,000 Jewish inmates. An imprisoned conductor, Schächter rallied his fellow inmates with clandestine musical gatherings, and what began as a fight for survival soon exploded into a cultural rebellion. Artists captured the horrors around them on paper, playwrights staged plays with makeshift sets and costumes, composers wrote new compositions, and thousands of concerts and lectures provided late- night escape for inmates longing for a return to humanity. This artistic uprising reached its peak when Schächter attempted a performance of one of the world’s most demanding choral works, Verdi’s Requiem, intended as a condemnation of the Nazis. Schächter painstakingly taught the Latin text, which promised divine judgment against evil, to his choir of 150, using a single smuggled score. They performed the Requiem 16 times for fellow prisoners, accompanied only by a single piano. 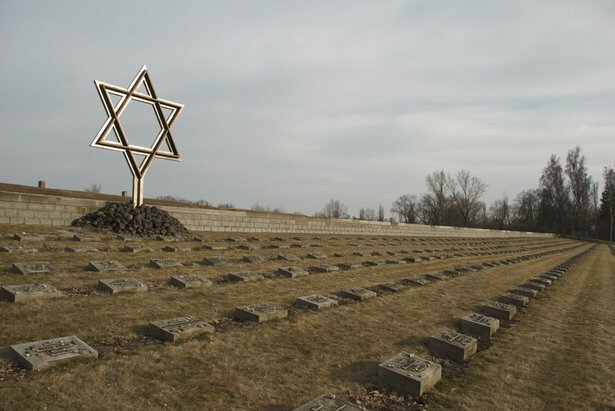 Graves of prisoners in Terezin during the World War II. Eventually, the Nazis took notice of the artistic enclave at Terezin; rather than crush it, they twisted it to their own advantage. They invited the International Red Cross for a highly orchestrated visit to what they call a “self-governed Jewish city” and cynically documented the town’s makeover in an infamous propaganda film, The Führer Gives a City to the Jews. 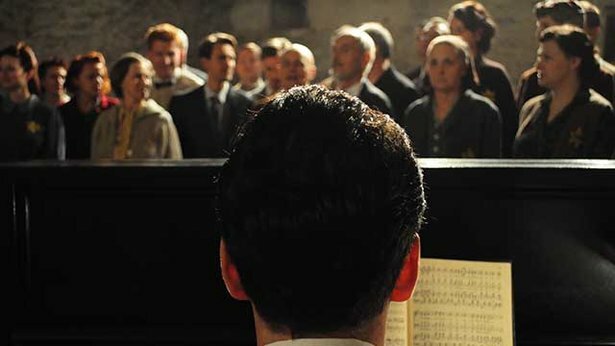 Following massive deportations, Schächter’s choir had been reduced to 60, but they seized the opportunity to use their music to confront the Nazis under the gaze of the Red Cross delegation, desperately hoping their condemnation might pierce the painstakingly staged propaganda. Now, 60 years later, conductor Murry Sidlin has realized his dream of bringing his own chorus to Terezin to honor Schächter and all those who were imprisoned in Terezin. In a former warehouse – where Nazi commandants once worked Jewish prisoners to their deaths – more than 160 young American singers and instrumentalists, along with an orchestra from Prague, gathered to perform Maestro Sidlin’s concert drama The Defiant Requiem. To capture this extraordinary moment, producer Peter Schnall and Partisan Pictures filmed the historic concert with an international crew. Schnall and director/writer Doug Shultz used this powerful and moving performance to re-tell the story of Schächter, his chorus and Terezin. For Schnall, his journey to this former Nazi concentration camp became more than just another filmic experience. During production, he learned, for the first time, that his own great-grandmother had died while imprisoned within the walls of Terezin.